It’s hard to deny that the bikes in the CVO™ or Custom Vehicle Operations lineup are some of the most stylish custom rides on the road. 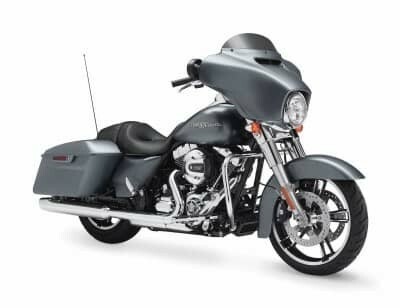 The CVO™ Limited is a favorite here at Avalanche Harley-Davidson®, and it could be the perfect touring bike for riders in and around Denver. 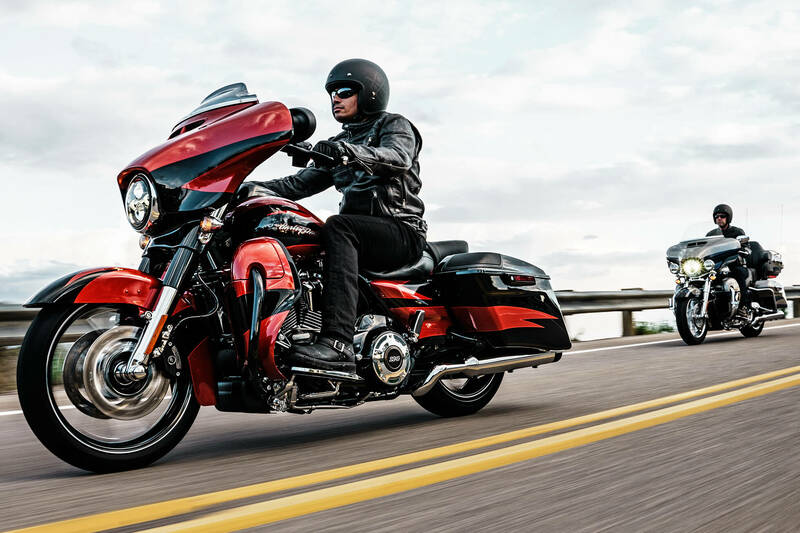 The CVO™ Limited gets an all-new engine for the 2017 model year, and riders from Aurora will want to read on to learn about the updates. 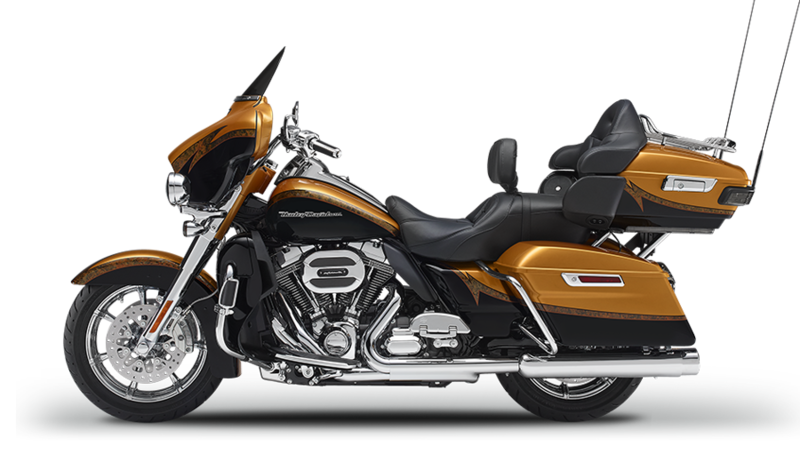 The CVO™ Limited is a fully-featured touring bike, equipped with the latest features and technology to provide unmatched control and confidence. All-New Twin-Cooled™ Milwaukee-Eight™ 114 Engine: This next-generation Harley-Davidson® engine delivers more power with larger displacement. It’s a precision engineered V-Twin that provides better cooling for more comfort and smoother operation, and it even delivers a purer exhaust note. Twin-Cooled™ Milwaukee-Eight™ 114 Engine Overview: The new engine provides 10 percent more torque thanks to greater displacement, higher compression ratio, and the use of four valves per head. That results in faster acceleration. Thanks to superior heat management with reduced heat absorption and a redesigned exhaust, you get to enjoy a cooler ride. With an integrated counterbalance, it even provides less vibration. Ergonomically Designed Hand Controls: To log big miles on trips from Lakewood, you need to be comfortable. That’s why the hand controls on the CVO™ Limited are designed to for all day riding. Brembo® Brakes: You want confidence and control when it comes to brakes. That’s exactly what Brembo® promises. The dual disc, 4-piston brakes feature a dual front rotor brake system for all the stopping power you need. Reflex™ Linked Brakes: The CVO™ Limited comes standard with anti-lock linked brakes. You can rest easy knowing that you’ll never have to worry about locking up a wheel on your ride. Single Integrated Security and Locking Fob: This factory installed system makes it possible to jump on the bike, start it up, and go all without using your key. The keyring allows you to wirelessly enable and disable the security system with ease. Ventilator Intake: This oversized intake delivers the air that the Screamin’ Eagle needs to keep delivering power mile after mile. 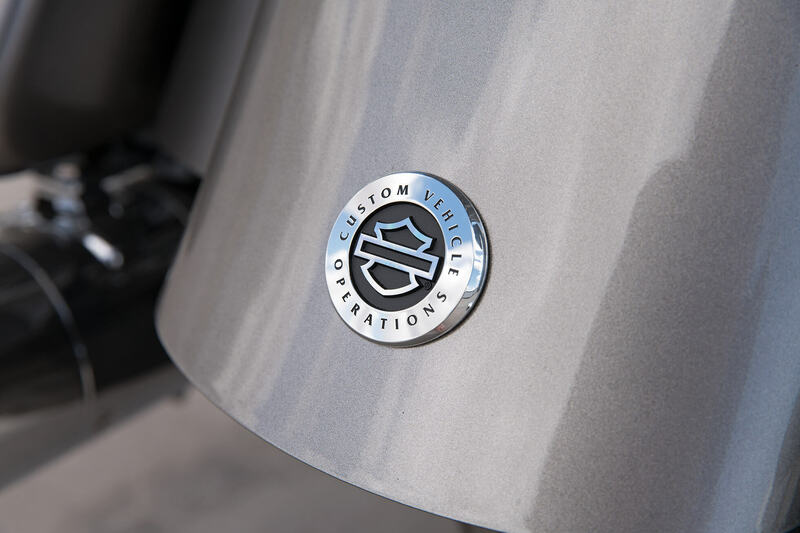 It doesn’t look half bad with classic lines and iconic Milwaukee-Eight™ Screamin’ Eagle® badging. 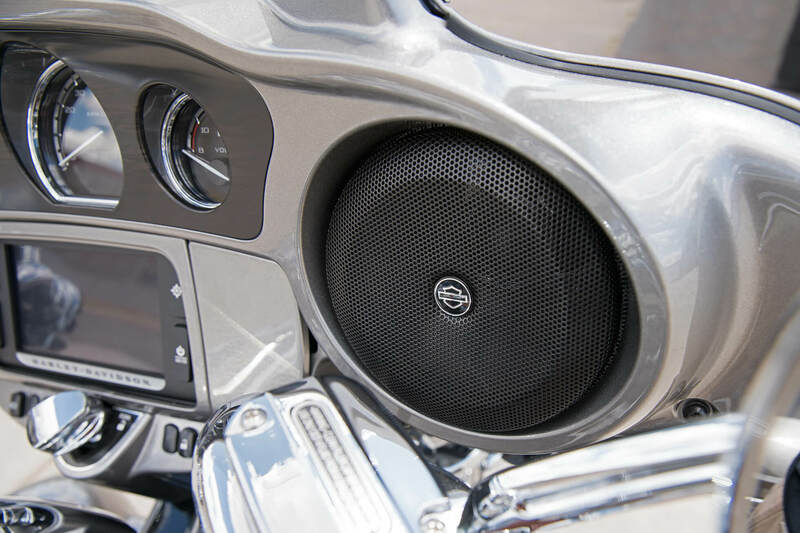 The CVO™ Limited is equipped with the most up to date infotainment features available on any motorcycle. Tire Pressure Monitoring: You don’t have to dig out your tire pressure gauge to see exactly what PSI you’re running in both tires, thanks to a new tire pressure monitoring system that displays on the infotainment screen. 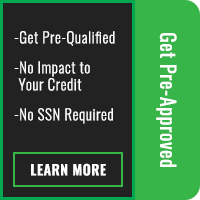 SiriusXM Satellite Radio: The CVO™ Limited comes standard with satellite radio, so you can tap into the latest music, talk, news, sports, and more. Boom!™ Box 6.5GT Radio: This smart infotainment and audio system delivers crystal clear sound with 75 watts per channel and only 1 percent distortion. It also offers a factory-tuned optimized equalizer that automatically adjusts for speed. When you climb aboard a CVO™ motorcycle, you experience a super premium feel unlike anything else. 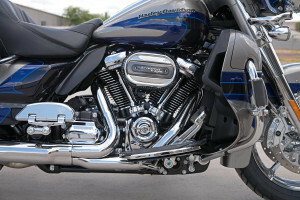 Fairing Design: The distinctive batwing fairing, a main feature on the CVO™ Limited, is designed using thousands of hours of real world and computer testing to reduce head buffeting and improve comfort. Chrome Dual Exhaust: Four-inch touring mufflers, chrome end caps, and chrome exhaust shields provide the kind of look and exhaust note you love. 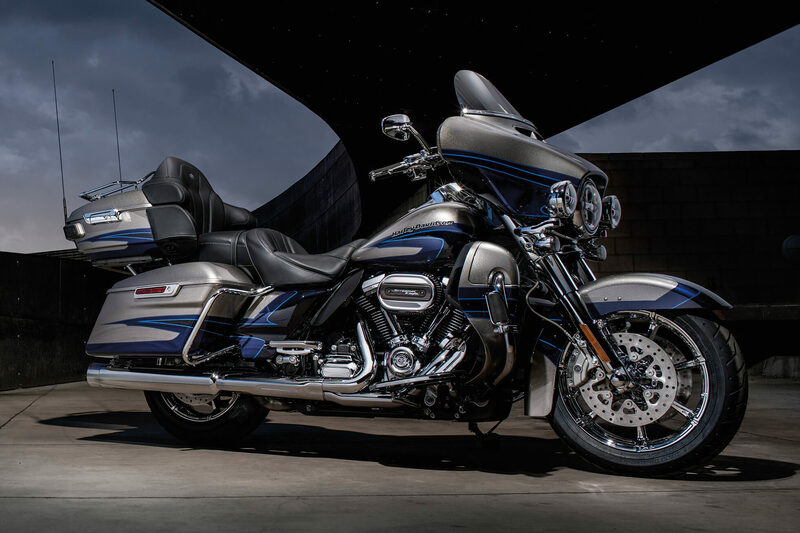 One Touch Design Philosophy: The design philosophy behind the CVO™ Limited is to keep it simple. That’s why the fuel filler door and saddlebags open with a single touch. Tour-Pak® Luggage Carrier Design: The sleek looking Tour-Pak® luggage carrier allows you to carry plenty in the secure compartment and even strap more on top. Custom Suspended Dual Control Heated Seat: The seating on the CVO™ Limited is a work of art. Both seats include backrests and heating, and the rear passenger gets arm rests as well. The seating is even suspended to provide more small bump absorption. We think you’ll agree that the CVO™ Limited is one of the best looking bikes out there. 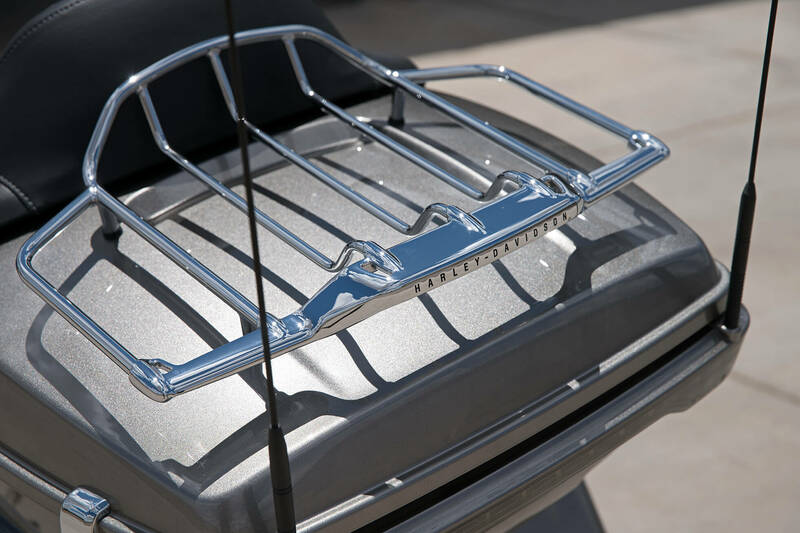 Pure Harley-Davidson® Styling: The all-new Milwaukee-Eight™ 114 provides classic style with a large racing scoop style air cleaner and machined chrome finishes. It’s the beating heart of the CVO™ Limited, and it’s also the most eye-catching part of the bike. Hand Laid Graphics and Tank Badge: Every CVO™ Limited is a work of art thanks to hand laid graphics and details, as well as the distinctive tank badging. It’s an appropriate finish for such an exclusive ride. 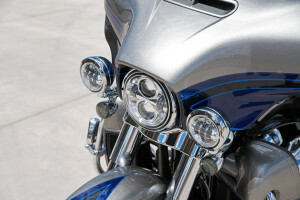 LED Bullet Turn Signals: These sleek, chromed bullet turn signals encase a high tech, super bright LED lighting system that makes sure everybody on the road can see that you’re turning. Airflow Collection: The CVO™ Limited rolls off the line with a full complement of components from the Airflow Collection: rider footboard inserts, passenger footboard inserts, shifter pegs, brake pedal and cover, highway pegs, heated handgrips, and shift lever arms. Mirror Chrome Slicer Wheels: You might have to stop yourself from staring at these beautifully polished, mirror finished, 20-inch chrome slicer wheels, and the 90-degree valve stem puts the CVO™ Limited over the top.